Our website design approach is centred on helping you capture leads. Achieving real business results is our passion. We work closely with you to make sure every word, picture, link and call-to-action we include in your site is working as hard as it can be to bring you new business. We concentrate our website design on building pathways that prompt your visitors to continue through your site (and your sales funnel) to the goal of making contact. That doesn't mean we don't build beautiful websites (view some of our successes). It just means we don't let form get in the way of function. While custom web development has come a long way in the past few years, the vast majority of modern business websites don’t actually require any custom programming at all. What they actually need is a proven content management system or CMS, for short. All the major components are already there. We'll help identify the right CMS for your needs, after which it’s a matter of configuring or creating responsive templates to get the layout and functionality your site requires. Having worked with over 500 companies from all industries, the team at KAYAK have come to trust a short list of very good CMSs. Atop that list are WordPress (for introductory to mid-level sites) and HubSpot (for advanced marketers). What does a typical business website design require and cost? We know that the best business websites are built so that every page has an audience and a purpose. And we know that visitors navigate through sites based on interest or intention rather than heirarchy. For that reason, whenever we are working with a new site, we begin by designing and developing foundational templates on which we construct your website. These templates (integrated with responsiveness, security, automation, social, and analytics tools) allows our clients to keep the visitor experience consistent from page to page throughout the site and allows users to learn what to expect (in terms of navigation and page structure) from one page to the next. 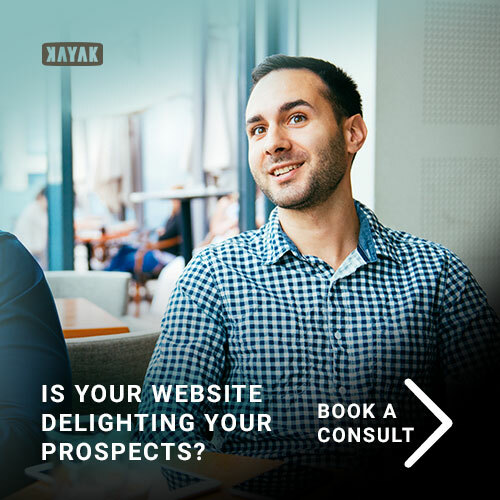 Just as every website is different, every website development investment is different, but to give you a general idea, a solid lead capture website that meets your company's needs and based on KAYAK standards would require an investment of $30k+. Consider that – in the end – it's about long-term value, or what you're going to get from your new business website, over the initial business investment you make. If what you get helps you grow your business, shrink your expenses, and introduce your products to a wider base of customers, then you've certainly invested wisely. 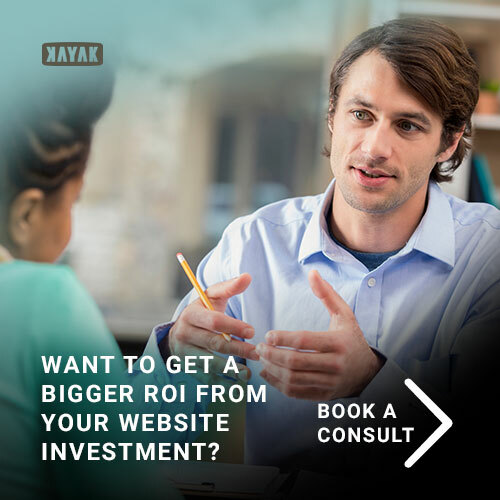 If you want to see a positive return on investment from your next website, you need one that will generate new business opportunities week after week and month after month. And an online marketing partner to help you with things like search engine optimization, social media, and inbound lead generation.